"Malunggay leaves" a healthy food. Good morning my steemit friends! It's a beautiful sunny day here at pangasinan! 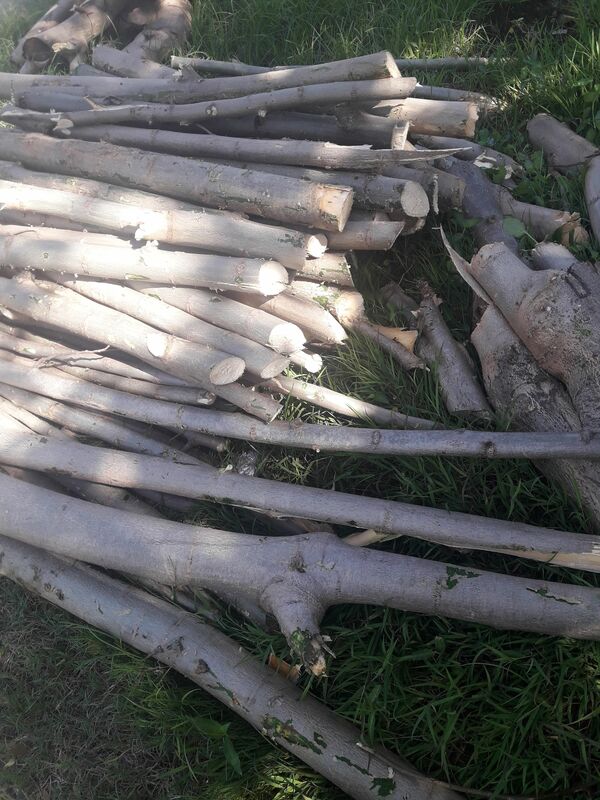 I've started my day cutting down some horseradish trees, to free space for mango plants and mahogany. I pulled-out the cut branches outside with my 2 wheeler cart, then our neighbors piled and planted it on their yard. Im sorry guys, that i have to undress my shirt, it is really hot in here and im sweating all over. Just dont mind my fats... as you can see.. lol. I finally have a used on my 6yr old rusty jungle bolo. Btw, if you're not familiar about the malunggay, here are some information on malunggay leaves, and a cooking recipe for "tinolang manok with malunggay leaves". 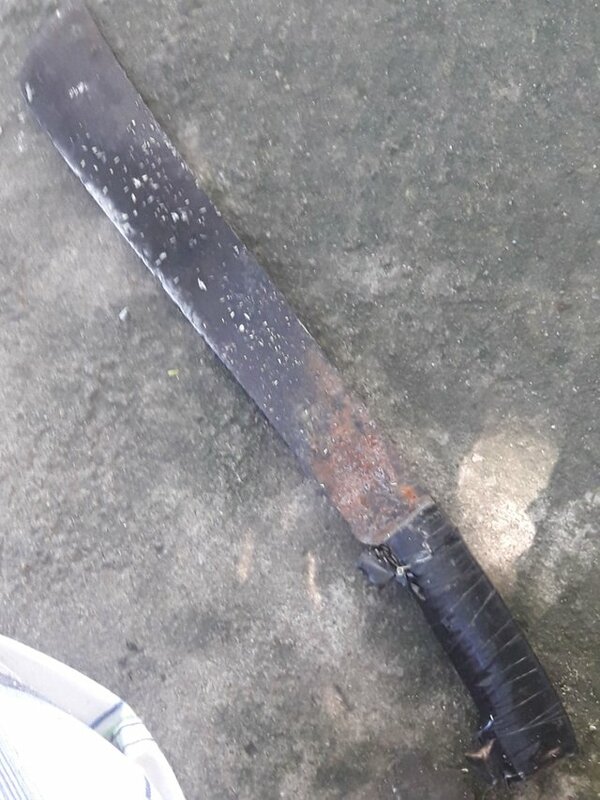 What is Malunggay in English? 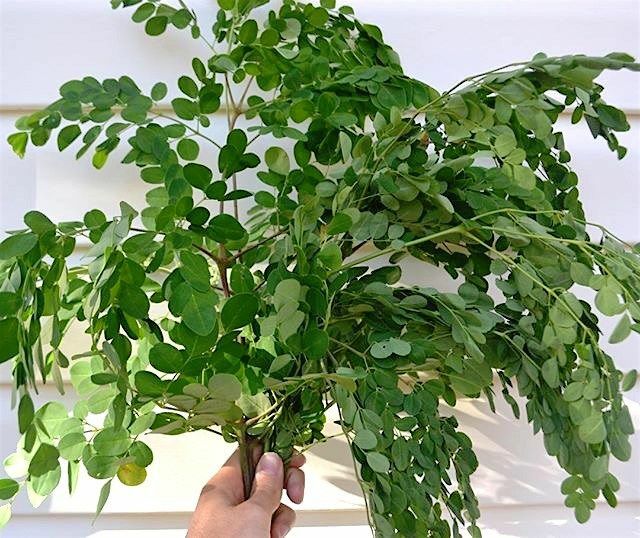 A widely grown plant in the Philippines, malunggay is a plant with the scientific name Moringa oleifera. It is simply called “moringa” by English speakers. Moringa is a tree known as sajina in South Asian countries like India. In English, it is sometimes referred to as horseradish tree or horseradish plant, although it’s a different species from the horseradish that Westerners know. The tree grows fast and survives well in drought conditions. Malunggay leaves are said to increase lactation in nursing mothers. 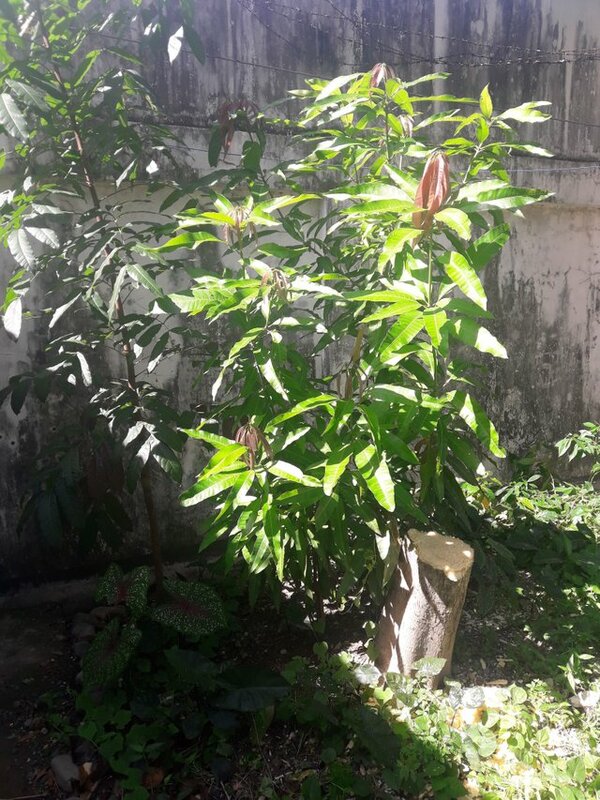 Filipinos like to say that malunggay is “the most nutritious plant in the world.” It is rich in vitamins A and C and iron. A study recently found that malunggay increases sperm count in men. Dahon ng malunggay (moringa leaves) are used in Filipino soups and broths, particularly tinola. Another Filipino dish that has them as an ingredient is bulanglang. Traditionally, Tinolang Manok is cooked with chicken, wedges of green papaya, and chili pepper leaves or Bird’s eye chili leaves in broth flavored with ginger, onions and fish sauce. A common variant substitutes pork for chicken, chayote instead of papaya, or moringa leaves known as marungay or malunggay or “kamunggay” (in Cebuano), instead of pepper leaves. This version of Tinolang Manok has a twist, we added tomatoes and saute the chicken with it. We learned from an experienced cook that using tomato when you saute the chicken will preserve the chicken’s original taste. This is optional you can omit the tomatoes from the recipe if you don’t want to experiment. 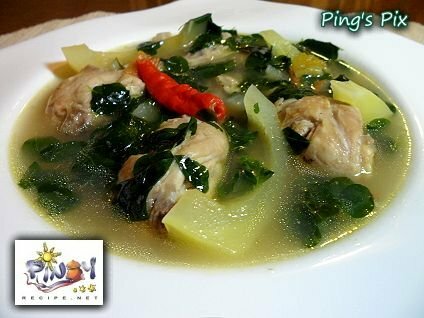 Tinolang Manok with Malunggay Recipe is a simple soup with chicken, ginger, lemongrass, chili leaves or malunggay and green papaya, it is a favorite home style dish in the Philippines. 1 small young papaya, cut into small pieces. In a stock pot, heat oil and saute’ garlic, onion, tomatoes, chicken and ginger. When the tomatoes are cooked add water and lemongrass. Bring to a boil and simmer for about 20 minutes or until chicken is almost done. Add papaya and Siling Haba ( chili ) and continue to simmer for an additional 5 minutes or until papaya softens but not overcooked. Add Malunggay leaves then turn off the heat. Serve steaming hot with plain rice.